Wow!!!!!! I LOVE that shower tile combination. Keep pushing yourself out of your design comfort zone because that's dang fabulous! Love love loooooooooove that light fixture! Everything is coming together so beautifully!!! 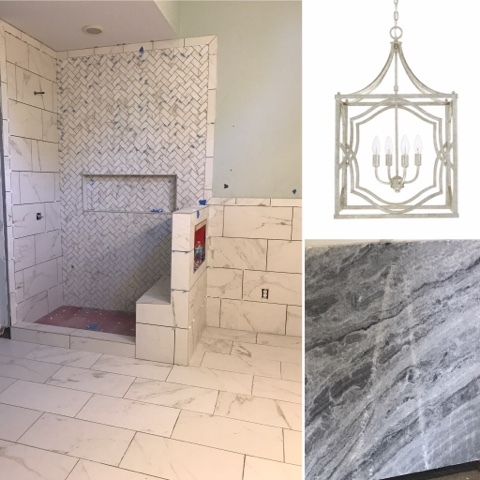 I have been loving following along with your bathroom renovation via snapchat- the marble and tile is beautiful! I cant wait to see the finished product!